One night after the lecture, all students were already gone, the lights were turned off, so the place was in complete darkness. I was waiting for the elevator to come. And then I felt her just in front of me - her body was cold yin energy, moving like a cloud. I saw her face - shining with happiness to see me. I felt her breath and her smile, as if she was saying: "Annie, it's me! Snezhana!" I smiled and told her: "Snezhana, we love you and are glad that you are coming here. But it is time for you to continue your life into other dimensions. Keep on and upward to higher vibrations. Later you again will have opportunities to study all of this! " After this she stopped coming to the lectures. But the memory for Snezhana, her enthusiasm in the study of Chinese astrology and medicine, and her genuine friendship remains forever. On March 5th starts “Awakening of insects” 惊蛰 15-day solar term according to Chinese calendar. It denotes the start of the month of Rabbit (Mao), which corresponds to hexagram 34 (Da Zhuang – “Great Vigour”) in Yi Jing. “Great Vigor” here means activation of the Yang energy. Now everything in nature becomes more active and grows up full with energy. The hibernating insects awaken and start to move. The energy and blood within our body also starts to activate and move from the inner organs outwards. But this is also a time of relapse of old diseases. 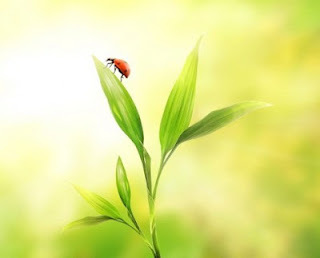 That’s why some TCM doctors in China say: “With the start of “Awakening of insects” watch for old diseases”. Wherever there is a blockage in the movement of qi and blood, there will be obvious feeling of pain. Very common is the relapse of arthritis, chronic cough and liver diseases. It’s not a time for heavy tonification 重补, but rather for a light moisturing methods. There is an old tradition in China to eat pears during the “Awakening of insects” time. I think this is very reasonable, because at this time the weather is not very stable and fluctuates between cold and warm, and the throat and lungs are more vulnerable to dryness and infections.